Heat oven to 350°F. Line cookie sheet with foil. Place wire rack on foil. Arrange bacon in single layer on rack. Bake 20 minutes. Meanwhile, in small bowl, stir together brown sugar and balsamic vinegar. Turn bacon over; spoon brown sugar and balsamic mixture over bacon slices. Bake 10 to 15 minutes longer or until golden brown. Remove from rack. Cool completely, about 15 minutes. 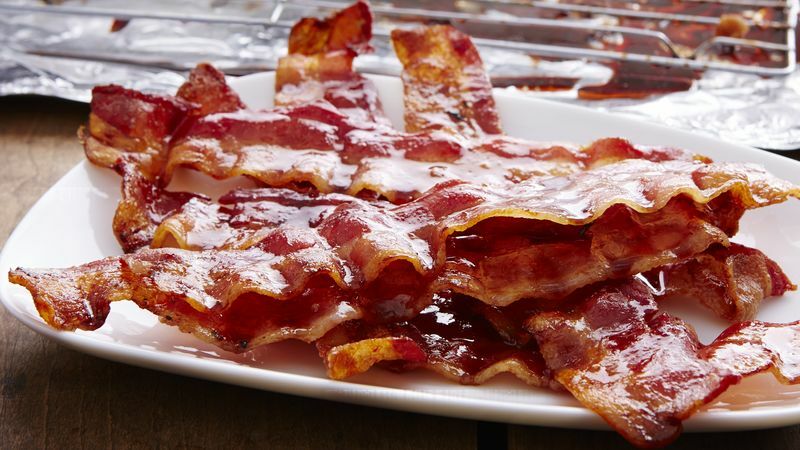 The unique flavor of this bacon can be attributed to the balsamic vinegar. Balsamic is imported from Italy and has a full bodied, slightly sweet flavor and rich reddish brown color. Available in kitchen specialty shops and some large supermarkets, it is definitely worth the extra cost. Light or dark brown sugar can be used in this recipe. The dark brown sugar will give the bacon a deeper, more caramelized flavor.